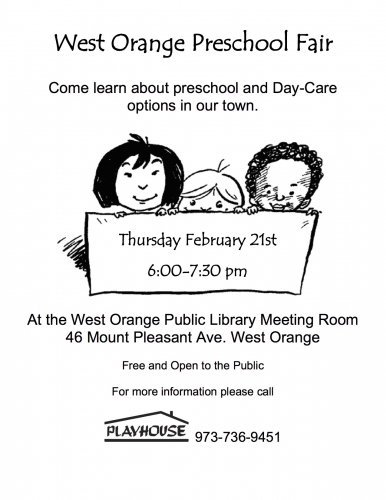 The West Orange Preschool Fair is coming soon! Come learn about the programs and services offered by West Orange Preschools. Representatives will be available to you from Playhouse Nursery School, Tutor Time, First Mountain Preschool, Little Explorers, Children’s Corner, The Goddard School, and more!